I was astounded to find that there is no affiliate programme. I am merely echoing those that have spoken before, but Upwork... It is time to put this on your urgent to-do list. You have a community of happy freelancers, all making money and wanting to help you recruit more quality members. Why are you not taking advantage of this? Love the platform. Wish I could blog about it and see some return. I've read the thread but don't seem to understand what exactly the intention of this program is. 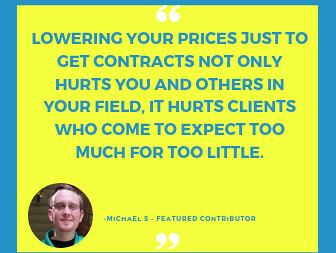 What we already have: the agency system, where a number of freelancers can work under one firm, the "bring you own client program", where a freelancer can bring a client to upwork which benefits him because he never has to pay any fee for jobs for this client, and lastly the possibility that a client can bring his own client to upwork which I believe circumvents the approval process, but the freelancer can then only work for this client. Is what you mean covered by one of the above or if not, in what way is it materially different? The **LAST** thing Upwork wants or needs is more freelancers. Every single day 10.000 (!!!) hopefuls try to join and 98% are rejected. The majority who are accepted never earn a single Dollar. So bearing that in mind, you expect to be paid to send even more of what there is already way, WAY too much? Not gonna happen until Upwork runs out of freelancers, which isn't likely any time soon. re: "You have a community of happy freelancers, all making money and wanting to help you recruit more quality members. Why are you not taking advantage of this? Love the platform. Wish I could blog about it and see some return." I understand that YOU imagine seeing some return, by having Upwork pay you money for new freelancers you refer to the site. 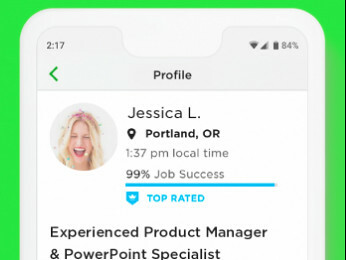 But how would Upwork benefit from this? 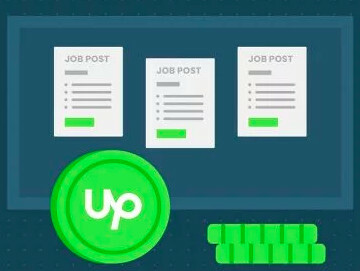 Upwork has no trouble attracting freelancers. But Upwork essentially does NOT make money by adding freelancers. Upwork makes money off of paying clients. And Upwork ALREADY HAS a reward program for referring clients to the site. So unless you can answer this key question: How would benefit from an affiliate program to refer freelancers to the site... Unless you can answer that, the idea is a non-starter. I never suggested the affiliate programme should be a payment for referring new freelancers to the platform. I understand that wouldnt work. (2) Giving a referring partner a cash reward for when a new referred partner hits $1000 turnover? (3) Giving a referring partner some reason to want to invite their network of professionals to this site and increase the value to the end user client? EVERY successful platform has an affiliate scheme. Not everyone can be an affiliate. You can set the criteria to benefit you. Over 50% of my work so far has come from putting right work that less experienced freelancers have messed up. Great for me, but not so cool for the client. Maybe an affiliate scheme would help raise the bar on the platform? I love Upwork - but it could be improved. These improvements would help everyone, not just freelancers. More freelancers do not create more income. Only more clients creates more income. More freelancers simply dilutes the available income, it does not make Upwork or individual freelancers more money. That is a fallacy. Giving freelancers more Connects does not generate more income for everyone either. Again it just dilutes income. More Connects do not bring more clients, just more proposals. Again, not logical. That $ 1000 would likely have been spent anyway, on a freelancer already on the site. If you want to refer friends, do it because it may (or may not) benefit them, not because you want it to benefit you. Be a friend, that's what friends do. Upwork could (and arguably SHOULD) lose 50+% of the current freelancer base in most categories, and be better off for it. Spending money on bringing more would be insane. Arguing that only great freelancers should refer only other great freelancers is a cute idea, but in practice you'd have to then police who gets to refer and vet even more newbies. The reality would just be an increase in wannabes. The way to make money on the platform is to successfully win contracts, not to arge that you should be rewarded for bring your competitors on board. Bringing more freelancers does not generate a thing apart from more noise and more proposals when clients are already drowning in them. FYI I am making money on the platform. I love it. I have also brought in one client and two really talented freelancers, for nothing, because I am a friend to my friends. Affiliates are about people working for the greater good of a community as a cooperative. Not people grabbing money for nothing. I personally don't see an issue with incentivising good people to use their network and channels to grow your product. Pardon me for making suggestions. I will get back in my box. Don't do that, we are having a discussion It's a "discussion" forum. I don't agree with the comment, "The last thing Upwork needs is more Freelancers" - It is, after all, a freelancing platform. I do agree that the last thing Upwork needs is more freelancers who price wrong, provide substandard work and are using the platform incorrectly - This aversion to having more freelancers implies that the platform is not working the way it was originally intended to work. My comment was that there should be an affiliate programme for successful Up workers to refer more QUALITY freelancers. Ones that will make themselves and the platform money. If 98% are rejected and even the 2% are failing to all make money then maybe the joining criteria would benefit from professionals referring OTHER professionals. Let your community be a filter.